The Philips OLED TV line-up comprises three models this year, with the main differences found in design and the built-in speaker system. 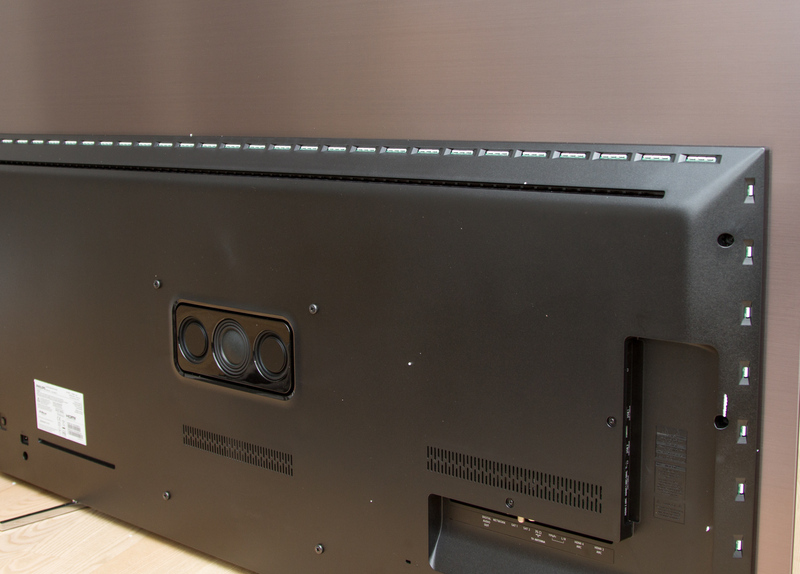 The 8-series OLED803 is the most affordable of the three and is equipped with the second generation P5 video processor, and upgraded speaker system, and a minimalistic design. It also features Philips’ signature feature Ambilight as well as HDR10+ support. 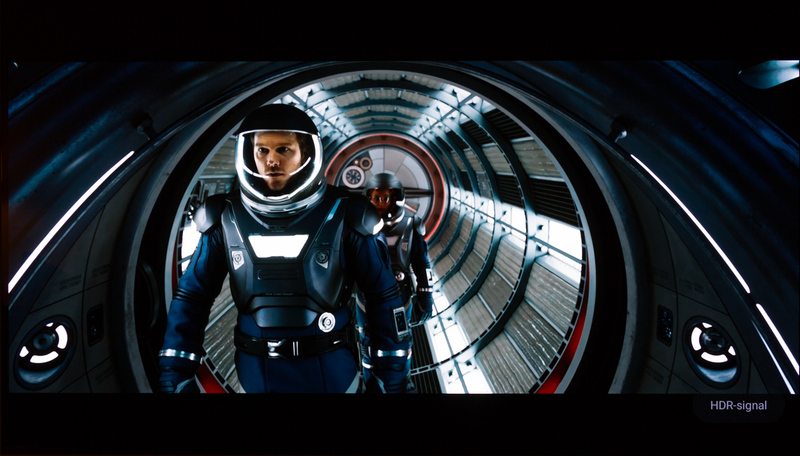 Philips OLED803 is available in 55 and 65-inch versions in Europe. TP Vision is responsible for the Philips TV brand in Europe whereas the US line-up is managed by P&F (Funai) who does not offer OLED models. We are reviewing the 65-inch OLED803. The Philips 803 model has a very streamlined look with invisible speakers and a small logo printed on one of the two feet – almost begging to be wall mounted. The bezel is made from dark metal and wraps around the back of the thin panel. Like the majority of OLED TVs, it is fitted with an electronics box that houses I/O ports (all facing the right direction). 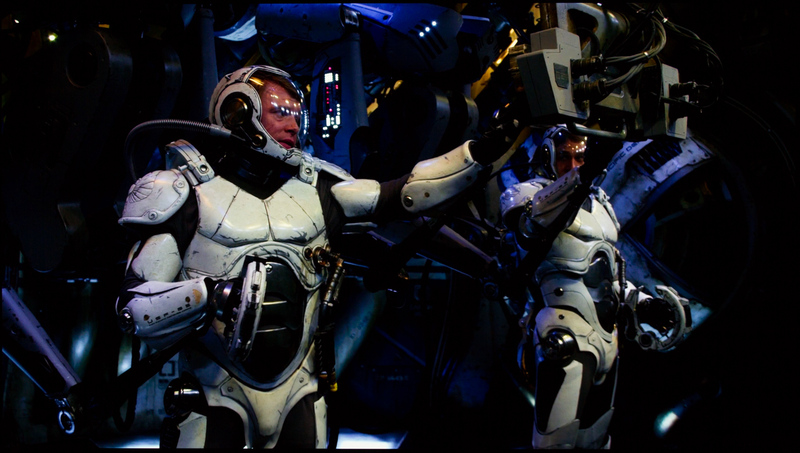 Additionally, the back is fitted with lines of light emitting diodes around the electronics box. These are intended for the three-sided Ambilight system that illuminated the wall behind the TV. The box also hides an embedded three-unit subwoofer system, which makes up the .1 of the 2.1 speaker system. It should be noted that only 2 of the 4 HDMI ports support 4K HDR. The other two are limited to 4K60 without HDR. The company’s guidelines say that the TV should be mounted with a gap to the wall to ensure that Ambilight works as intended, but as you can imagine this is a trade-off and something you may want to consider if you are planning to wall mount it while using Ambilight at the same time. The feet are – like the rest of the TV – minimalistic in appearance and the made from metal. To attach the feet you must lay the TV flat on a surface and insert bolts from below. It is not the most optimal way to handle a brand new and super thin TV and we wish Philips would look to Samsung (specifically Q8DN) for inspiration. Samsung has developed a system that lets you attach the feet via magnets. This would have been more comforting, while at the same time greatly simplified set-up, especially with these super-thin OLED TVs. 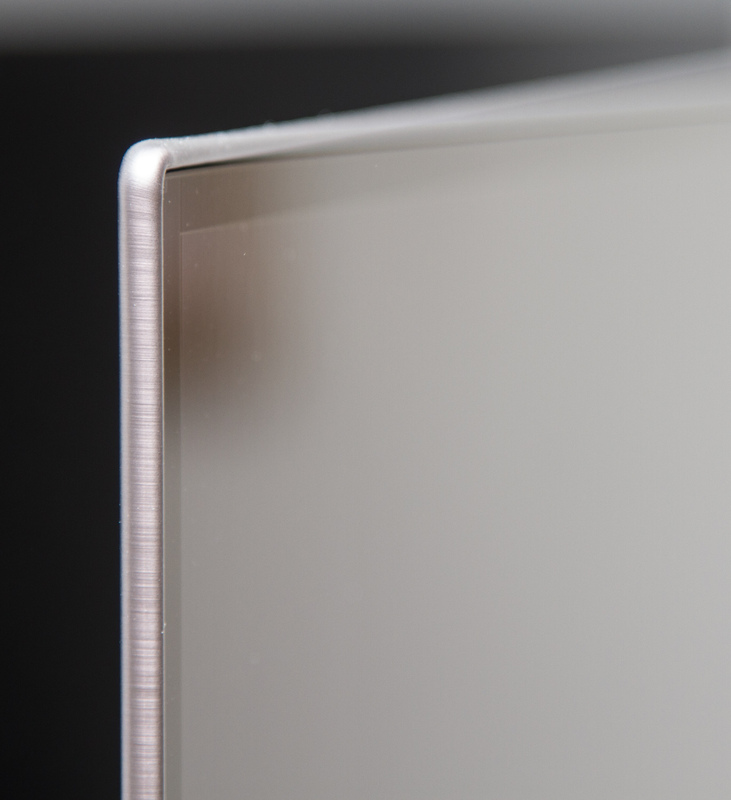 The panel has the same anti-reflective coating as all other OLED panels from LG.Display (meaning all consumer OLED TVs) and the reflectivity characteristics are therefore identical. The TV comes bundled with two remote controls. One is the conventional Philips version with buttons on two sides (QWERTY keyboard on the back). 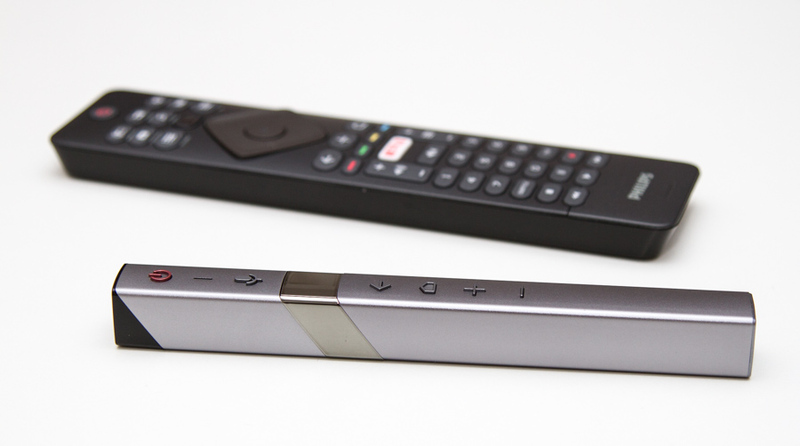 The new “stick” remote (Easy Remote) has very few buttons – more on that in a minute. Lastly, a word of caution; the TV cannot support itself when you remove the carton box, so be careful that it is not tipping over when you start unboxing it. 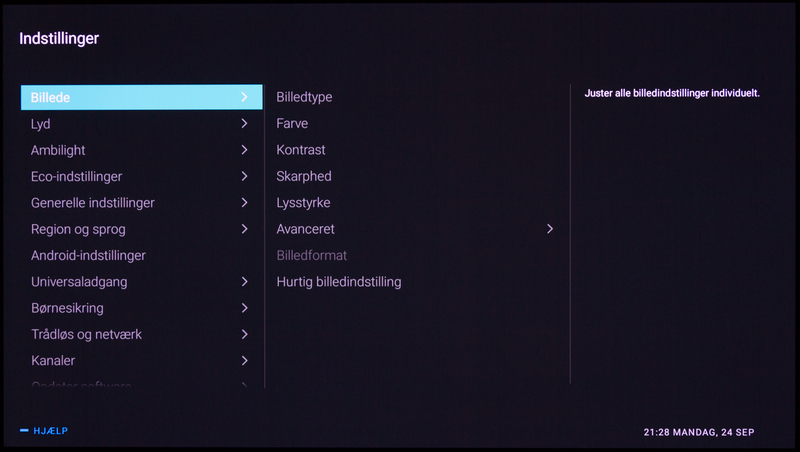 Ambilight is Philips’ signature feature and it divides opinion. Either you love it or hate it. 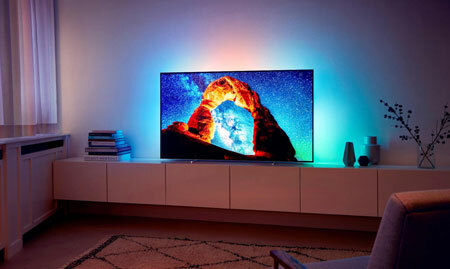 In the latest version, Philips has made it possible to expand the mood lighting effects to the rest of the living room to the Philips Hue lighting system. 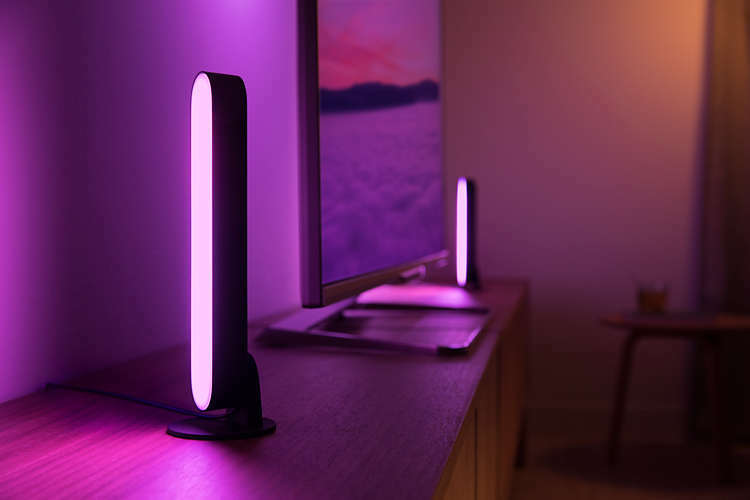 We do not currently have colored Hue lamps installed in our testing environment but we can add that Philips has recently launched Hue Play designed solely for the purpose of expanding Ambilight to the living space, allowing customers to go all-in. Ambilight can also be set-up for bias lighting, meaning a neutral white tone that better compliments the concept of accurate picture quality. 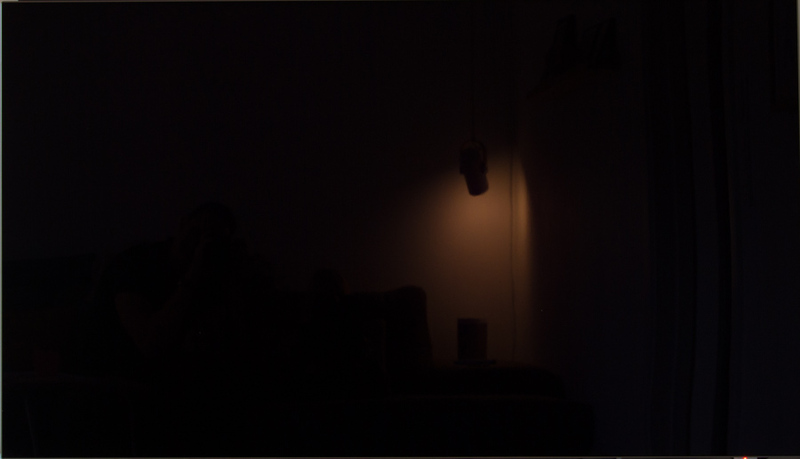 In living rooms with walls close to the TV or a low ceiling, Ambilight can have some unfortunate side effects that affect the mood lighting effect. The optimal way to use the TV’s Ambilight implementation is to place the TV in front of a large bare wall with lots of space around the TV – or reduce the Ambilight intensity via the menu. Another way to adjust the spread of light is to move the TV closer to the wall. Philips TVs are still running Android version 7 (Nougat). Android version 8 (Oreo) will start rolling out for Philips TVs from November 2018. However, the 2018 OLED models are last in line so expect OLED803 to receive the Android 8 update (with a fully revamped TV user interface) sometime in the first quarter of 2019 – unless plans change. 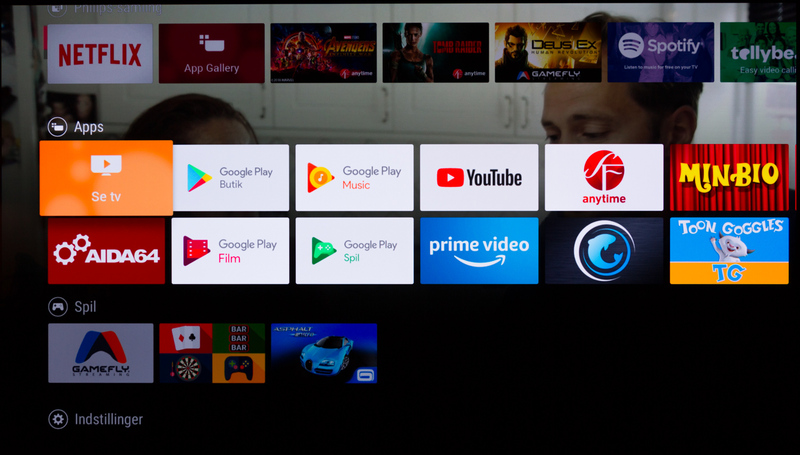 TV manufacturers on team Android have been given limited ways to differentiate TVs from competitors’ sets as Google dictates that the user interface (besides the TV channel interface) must remain unchanged. Philips is trying to expand functionality through its own selection of apps. However, it seems a little out of place with these added services that are at best mediocre. 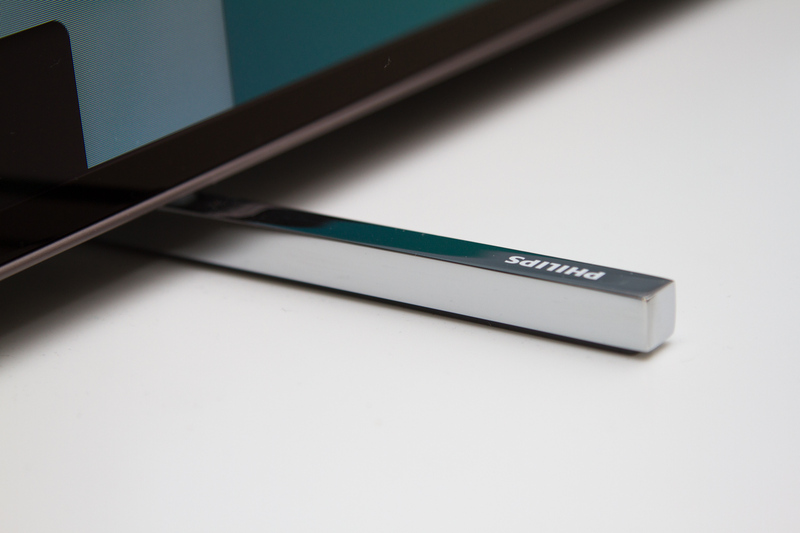 We hope that Philips will start developing native Android TV apps instead. Since OLED803 is running the same Android 7 system with the same slow MediaTek MT5891 SoC, we refer to our previous Philips TV reviews for more details. Compared to Sony’s implementation of Android TV, we prefer the media player in Philips’ TVs. It is faster and has better file structure that the Google-developed version that Sony has chosen. Of course, it is also possible to install media apps from the Google Play app store, including Kodi and Plex, which evens out odds. In our region, Google Assistant is still missing in action so we cannot comment on how it works in our environment but we have seen it demonstrated (video) in the past. The lack of Google Assistant, means that Philips OLED803 offers the more limited voice command system, which is less advanced and useful. We hope that Assistant for TV starts rolling out to more regions soon. 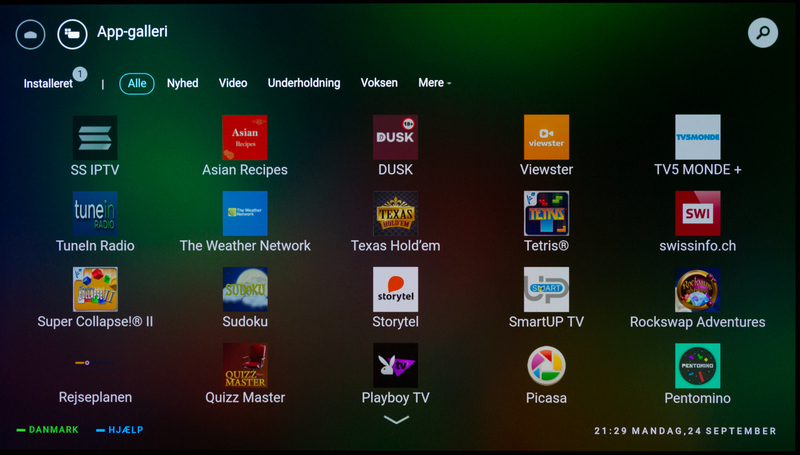 The Google Play store has a decent selection of TV apps but some are missing. These services typically support Chromecast, allowing you to cast video to the built-in Chromecast function. However, compared to the external Chromecast dongle, the built-in software version does not support frame rate switching to 50Hz, meaning that it is locked to 60Hz. In Europe where 25/50Hz is the standard, this causes some unfortunate side effects such as stuttering motion. This is not the fault of Philips but at this point we cannot help feeling that Google has messed up its software-based Chromecast implementation. OLED803 has the same processor for Android as POS9002 / OLED873 (MediaTek MT5891) so operation still feels slow and clunky. 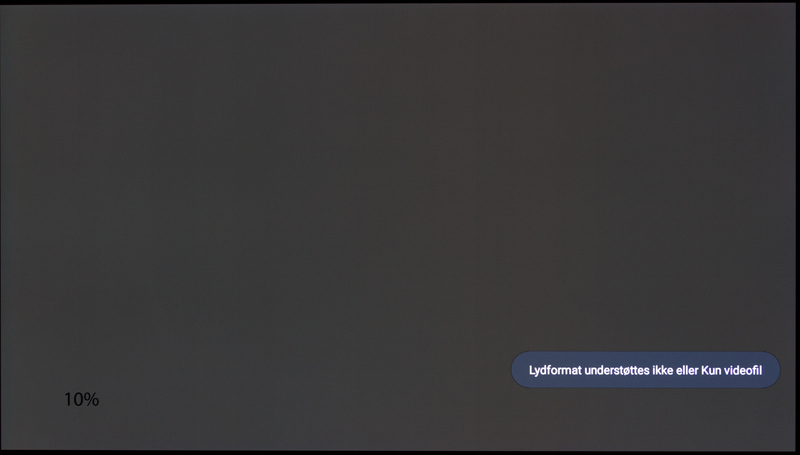 Especially HDR video seems to force the TV to its knees in menus. On multiple occasions, we experienced a problem with audio delay introduced after navigating the menus or after activating HDR. The audio delay started drifting more and more until you either restarted the TV or changed the input. At the same time, we observed noise on the optical audio output and one time the TV force-reset itself before we could do anything about it. It may be related to this being a review sample – we have not been able to double-check with a retail sample. For my day-to-day use, I tend to use many HDMI ports. One annoyance with Philips TVs is that the TVs always boots up on the input source that you used last – like Panasonic TVs. If you have been playing a game on your PlayStation, the power button on the remote control will boot up the TV to the PlayStation’s HDMI port and with CEC activated this will send a trigger command that turns on the game console – or Apple TV or whatever. This is quite annoying if you just want to watch a TV channel or use another function as it requires you to then manually turn off the PlayStation. Philips’ menu system can be a bit heavy to operate when trying to set-up or calibrate the TV. It takes up almost the full screen, which affects measurements on-screen while the interface is active. It takes a substantial number of button presses to reach the advanced setting options, too, and since there is no “copy to all inputs” function for picture settings, you will spend a significant amount of time setting up everything. 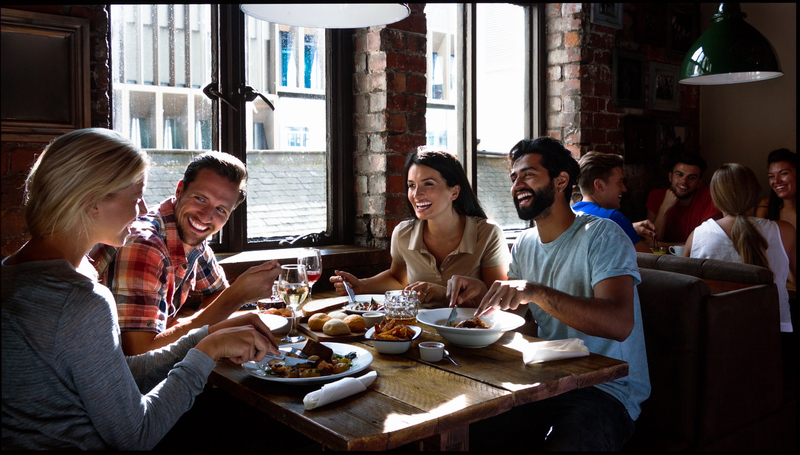 There are also lots of ”enhancement” picture functions so it can feel a little daunting to venture into the advanced section of the menu system. 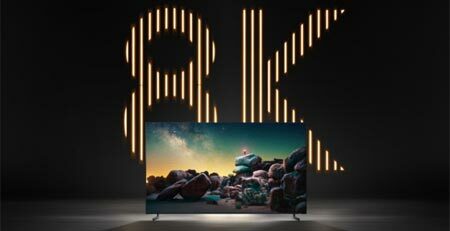 Since Philips is partnering with Google, OLED803 is one of those TVs that actually do receive regular system updates after launch. This should be the norm but unfortunately it is not the case. However, new system updates are slow to emerge. The version of Android in Philips OLED803 is now more than two years old. Android version 8 (Oreo) will start rolling out from November and we hope that it will bring with it some much-needed speed improvements and bug fixes, besides the new user interface. The TV comes bundled with two remote controls, one of which is the classic remote with its absolutely chaotic button layout that encompasses a full analog-style remote on the front and a QWERTY keyboard on the back. The look has been tweaked slightly compared to the previous version and it is somewhat flatter but still with decent weight to it. It has the same number of buttons, which can feel overwhelming and unnecessary. It still communicates via Infrared so it must be pointed at the TV. The buttons are a tad soft but decent enough and the navigation area can be operated without looking down. The remote control reacts to button presses only on the side that is facing up to ensure no accidental presses. With the introduction of voice control, the relevance of a QWERTY keyboard may be fading and there are more convenient solutions out there such as Apple’s implementation that automatically prompts you to use the keyboard on your iPhone through a system notification. Turning our attention the “stick” remote (‘Easy Remote’ AS Philips calls it) , this is a markedly different solution. It has been radically simplified and the number of buttons reduced to a minimum. It still relies on IR but voice commands are beamed over to the TV via Bluetooth. It has a metal housing with volume buttons, a home button, a back button, a navigation pad, a voice command button and a power button. Batteries are inserted at the bottom. In the past, we have praised Samsung for its simple and user-friendly approach with the One Remote, and it could appear that Philips has set out to offer something similar. While Samsung’s Tizen platform has been optimized for this kind of simple remote interaction, it is immediately clear that Android TV has not. Sony has previously been experimenting with a mini remote with a touchpad but the company later abandoned the project. When trying to control Philips’ TV with the new “stick” you are reminded of why it did not work. It is not enough to design and bundle a simple remote control if the TV operating system is not designed for simple interaction. Several of the buttons have double functions, which helps a little bit but many functions are simply hidden behind too many button presses. It does not help that a swipe on the touchpad gets translated into a single button press, meaning that you have to swipe, swipe, and swipe to navigate around the Android interface. You cannot build momentum by swiping faster like with the Apple TV remote. I would have preferred physical buttons instead. I would have loved to conclude that Philips had cracked the nut and that it had simplified Android TV operation but the fact is that I ended up discarding the “easy” remote because it actually make operation more complicated and unwieldy. The TV channel interface is largely unchanged, which is not necessarily a bad thing. In my opinion Samsung still has the most inviting channel interface but Philips is not far behind. 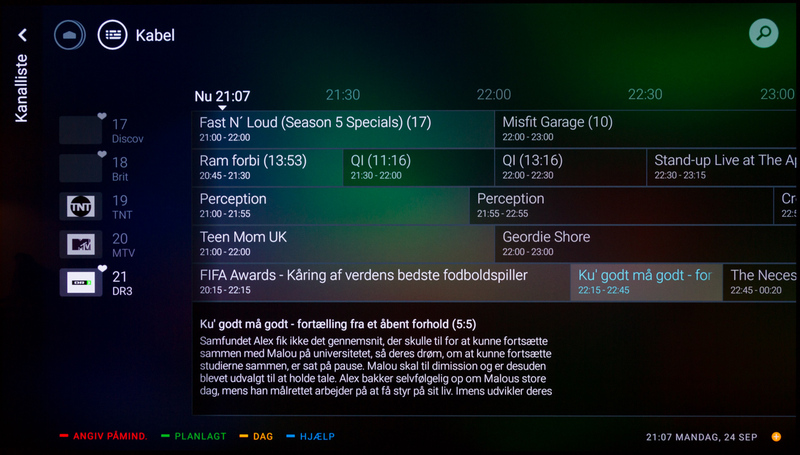 A common theme for Philips’ TV Guide, channel side menu, and program information is that they look pleasing and are easy to operate. It takes a little too long to change channels – especially immediately after booting up the TV – and since OLED803/903 is the only model with a twin tuner, a picture-in-picture function would have been a nice touch. By connecting a USB hard drive, you can pause and rewind live broadcasts, besides recording stuff of course. As mentioned earlier, the TV is equipped with three woofer units in the back to improve the speaker system of this very thin TV. The treble units fire downwards. The speaker system in OLED803 is better than average TV sound but I had probably expected more considering that Philips emphasizes audio. It should be noted that the more expensive OLED903 has a speaker system developed in collaboration with B&W so if you value TV sound you may want to consider stepping up. 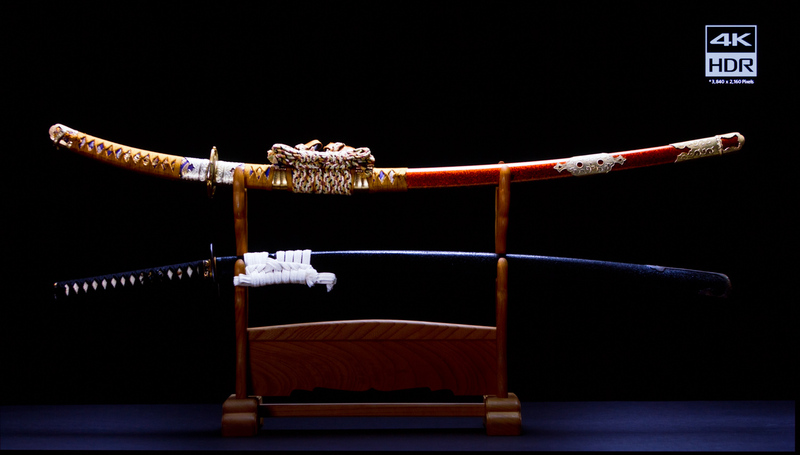 It is only natural that the more affordable model has been limited to create meaningful differentiation between models. 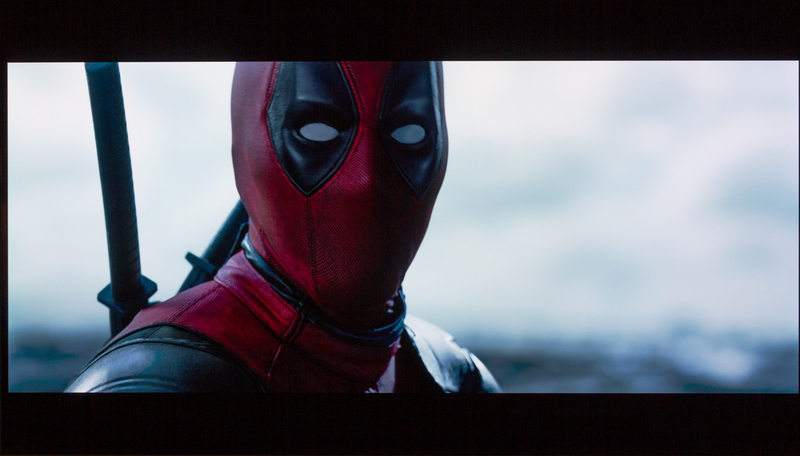 The 2.1 system in OLED803 suffers somewhat from too weak bas and lack of definition in mid-tones. It also has a tendency to distort at loud volume. It is definitely better than your average TV but not good enough. 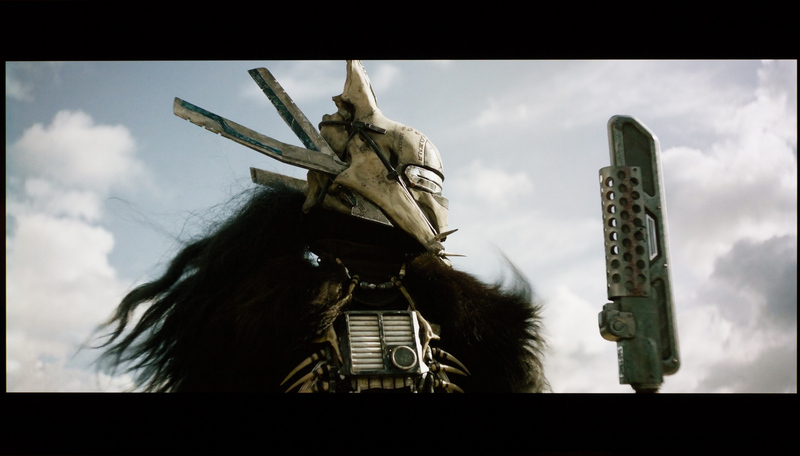 You are still forced to connect external speakers if you want decent sound for movies. Philips’ picture settings are extensive but most of them revolve around the algorithms or systems intended for artificial enhancement of video. For the purist, this becomes mostly an exercise in turning off as many options as possible in order to start evaluating picture quality objectively. Below we have opted for a relative high brightness for SDR for a typical living room environment, which is possible on OLED without affecting the black level. 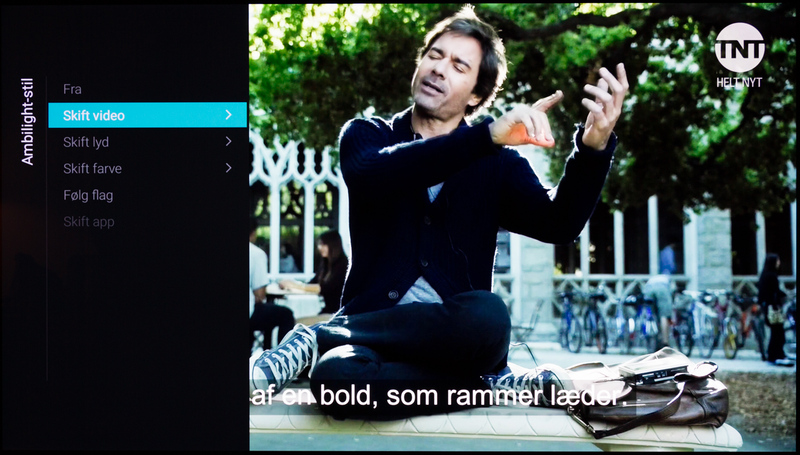 There are a wealth of picture modes to choose from, with the ISF modes being the most useable. There are two ISF modes for day and night time, respectively. The other picture modes are basically various degrees of wrong that differ based on how aggressive the picture enhancement systems are. A common theme is that all of them blow everything out into the native color space (roughly DCI-P3) of the OLED panel, including for SDR video. We based our calibration on ’ISF Day’ that required only minor tweaks to the grey tone balance to reach a convincing result. If you want to go further you can tweak the CMS to ensure that secondary colors are spot-on but overall color accuracy is definitely approved. We must note that our sample of OLED803 had an issue with the ISF modes that would visibly desaturate the picture whenever the TV was booted to a source that had been set-up to use one of these two modes. 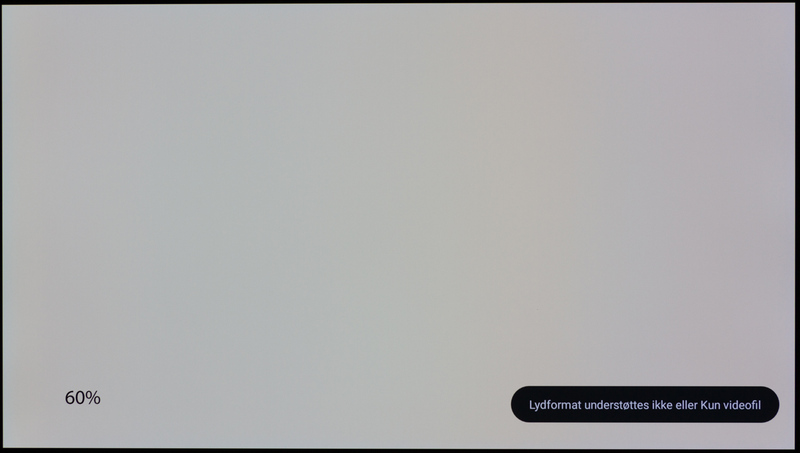 To solve it, we had to change to another picture mode and then back to ISF again. Philips has observed the error in the past but was under the impression that it had been fixed. They are following up regarding OLED803. 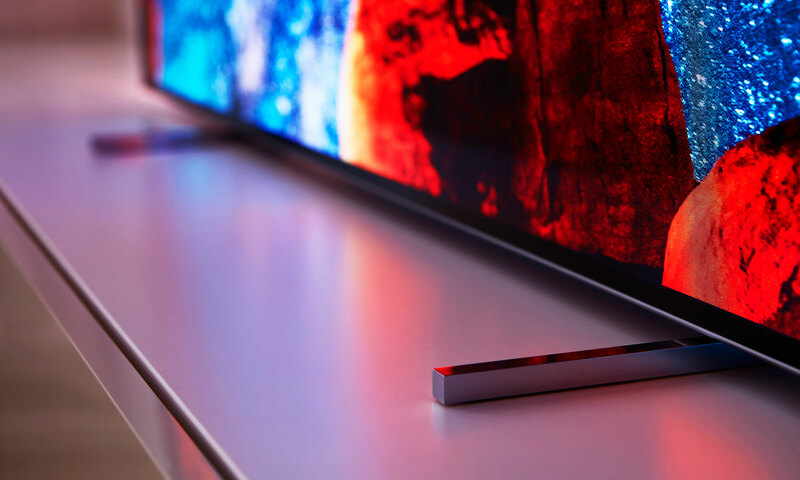 Turning our attention to HDR, Philips OLED803 differs from the majority of HDR compatible TVs out there in the way that the luminance scale does not adhere to PQ as brightness increases. Typically, manufacturers decide to let brightness peak relatively quickly and then have a slight graduation at the top end. Philips OLED803 has a more gradual roll-off as seen in our measurements below. 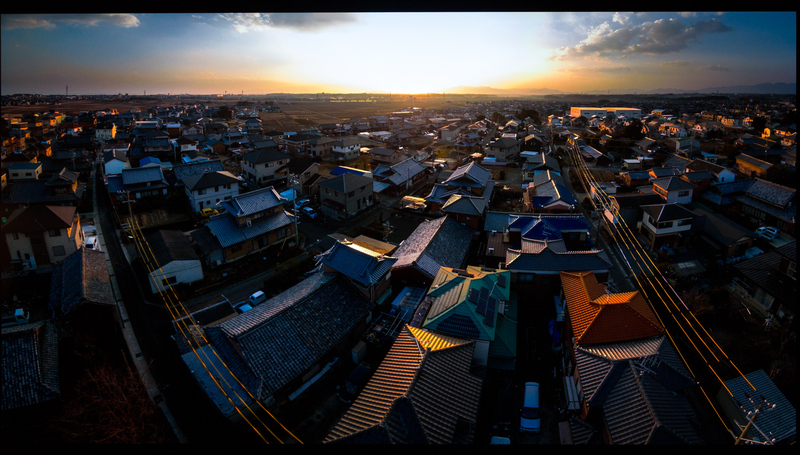 For HDR content, this means that mid-tones will appear darker than intended and that highlights do not reach “full power” until somewhere around 90% of peak. Note: We include calibration settings only for SDR, not yet HDR. For our calibration we have deactivated the ambient light sensor that automatically adjusts the backlight setting according to your environment. You may prefer to have it enabled. 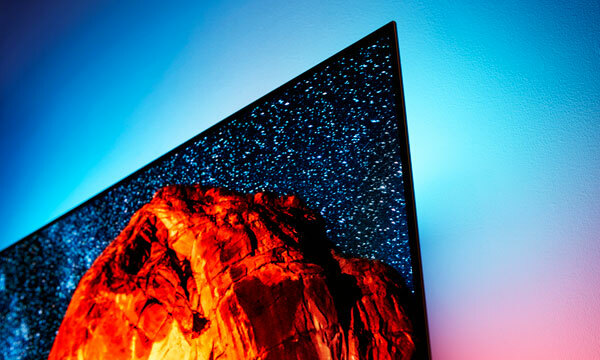 Since Philips OLED803 is based on the same OLED panel as all other OLED TVs on the markets, it is hard to really stand out in terms of picture quality. Philips is equipping its models with a video processor that is largely geared towards achieving the opposite goal of what the industry usually refers to as “creator’s intent”, meaning how the filmmaker wants his/her movie to look. Philips has definitely diverged from the reference picture standard with the second generation P5 video processor so buyers will likely fall in one of two categories; either you love everything about the hard-pumped and artificial-looking pictures or you find yourself scared and in a position where you have to explain to your kids why the people on TV look so strange. Per default the TV has been set to max sharpness, motion smoothing, noise reduction, HDR upscaling (color space and brightness) and full-effect Ambilight. If you put on your favorite movie without adjusting the picture, it will look completely different from what you are used to. This is a conscious choice on Philips’ part and you can either decide to join this philosophy and ignore everything that the filmmaker believes in, or you can start disabling the many enhancement features. We did the latter. 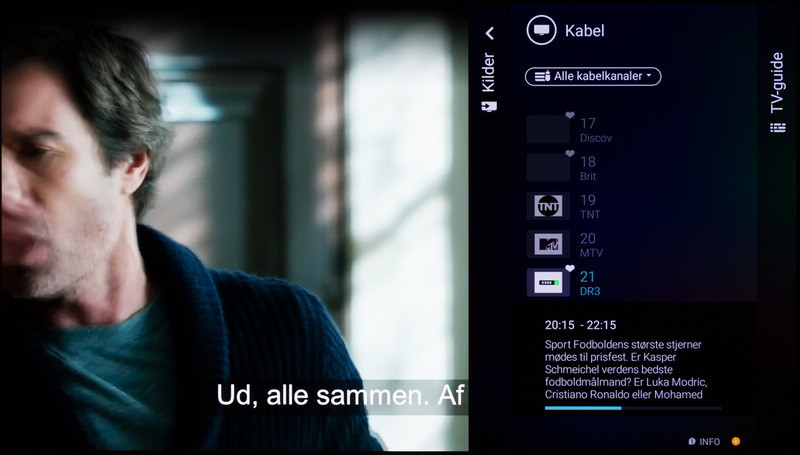 We have commented on Ambilight in the past and can conclude that the dynamic effect of Ambilight that is meant to expand the colors on-screen to the living room is not compatible with the concept of reference picture and color, and how the creator wants you to experience the movie. One exception is setting up Ambilight as bias lighting where you use a D65 white point behind the TV. After having deactivated the many enhancement functions, we found ourselves pleased with the neutral and balanced picture that excels in several areas. Starting with low-quality video and TV channels, we had to decrease the sharpness slider all the way to the bottom to avoid seeing turbulent and noisy effects in colored areas of the picture. This can be problematic for low-bitrate TV signals that are already heavily compressed. The TV’s upscaling engine is convincing and you can achieve smooth gradients with almost no banding after calibration. 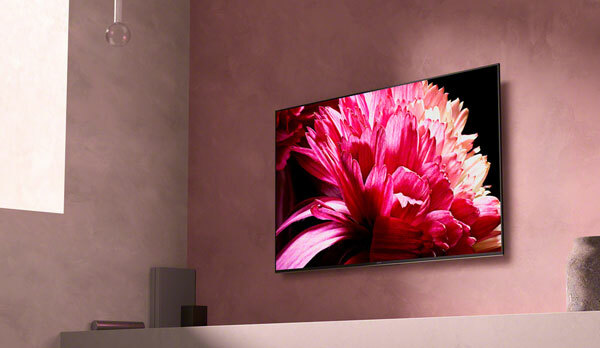 Overall, Philips OLED803 can be tuned to deliver great picture quality for low-resolution content. Switching our attention to 4K and HDR sources, we found that the TV delivers pleasing colors and reaches higher peak brightness than some other OLED TVs. As the graph shows, the TV hits over 800 nits peak brightness – more than our reference model from Sony and Philips’ predecessor in POS9002. However, and as shown in our calibration section, OLED803 does not adhere to the reference for the PQ luminance curve. Philips has instead chosen a more gradual roll-off to better preserve highlight details but it also means that mid-tones are darker than intended. 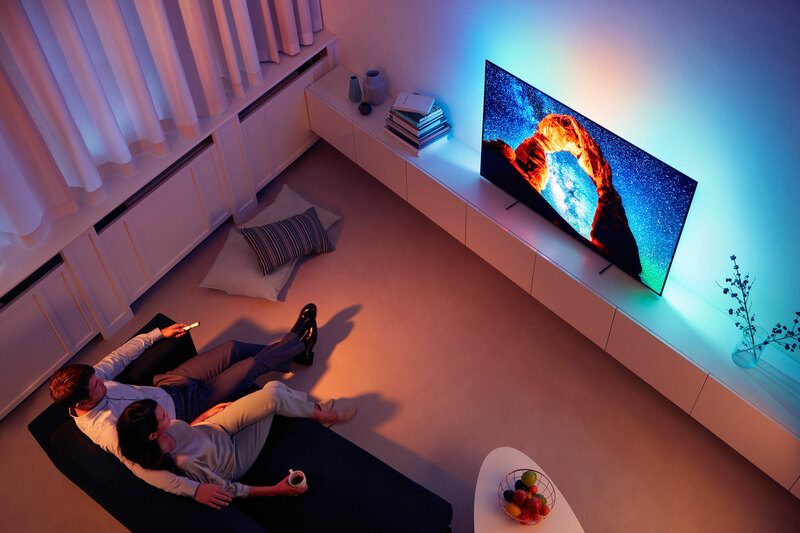 Like Sony’s TVs, it is not possible to adjust the color temperature independently between SDR and HDR so the RGB balance for HDR will follow your SDR calibration for the specific picture mode, if you are opting to use the same color temperature mode. Philips has shunned the Dolby Vision HDR format and instead joined the alliance that promotes HDR10+ as an alternative. Unfortunately, there is still no HDR10+ content available for this TV, despite Amazon Prime offering a HDR10+ library. It is a shame because HDR with dynamic metadata can potentially deliver better HDR video but on the other hand OLED sets a high standard for HDR picture quality and never fails to impress viewers. One area where dynamic metadata could improve things here is probably in the area of shadow details that tend to lose some definition. In use, OLED803 has no issues with reproducing all steps of the grey tone scale so in the optimal situation it should be able to deliver even the finer nuances but in actual viewing situations it is not possible to utilize on a scene-by-scene basis without HDR10+. Nevertheless, we do not see the lack of HDR10+ content or the lack of Dolby Vision support as a deal-breaker as things stand right now. 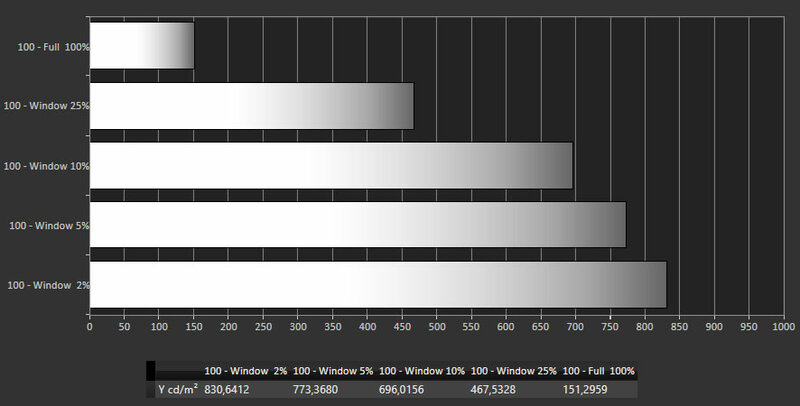 Light homogeneity has historically been a sore point for OLED, especially at the dark end of the grey tone scale. OLED803 exhibits some vertical banding in dark grey tones but not enough to make it visible or problematic in typical viewing situations. I would classify light homogeneity as approved. In the photos below you may be able to spot faint yellow tint in the center or red tint in the sides. Again, this was not observed in actual use so refrain from taking the long-exposure photos too literally. Issues such as vertical banding and tintint tend to vary from one sample to the next so our sample may be different from what others are seeing. One area where Philips’ enhancement algorithms can help improve matters is in the area of motion. Like Sony, Philips has implemented a motion algorithm that can be effective without causing too much trouble. By adjusting only ‘Perfect Clear Motion’ and keeping it at the Minimum setting, you can improve motion resolution, while largely avoiding the soap opera as well as the infamous stroboscope OLED effect caused by the OLED panel’s response time being too fast for low-fps video content. With these settings, Philips OLED803 competes with Sony AF8 and LG C8 in the area of motion. However, it still cannot match our current reference for motion reproduction, Sony XF90. Sony’s LCD TV can reproduce almost double the number of motion lines as the best OLED TVs. To close the gap, the industry must evolve and move beyond 24 pictures per second to at least 60 frames per second. This is not a limitation of OLED displays – quite the opposite actually – but a consequence of human physiology. 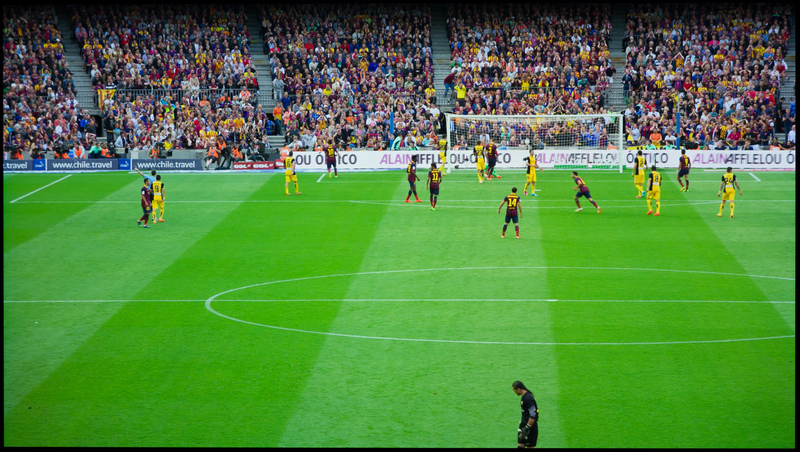 A related topic that is increasingly being discussed in user forums due to live sports transitioning from broadcast to streaming distribution is that many viewers find that live sports can stutter or look suboptimal on even the latest high-end TVs. In this regard, we think it is important to emphasize that this is typically a result of services using 25/30fps (rather than 50/60fps) and too low bitrate to deliver the streaming signal. 25/30fps is generally too low for sports. Modern high-end LCD and OLED TVs will show flaws of the broadcast signal more prominently than mid-range TVs, which is one of the unfortunate consequences of having a great TV – you need great source quality, too. It is time to start demanding more from our streaming services. No TV can fix a poor source signal. We have expanded our suite of equipment meaning that we can now measure input lag in 4K SDR and 4K HDR to better reflect what users with Xbox One X or PlayStation 4 Pro can expect from TVs. 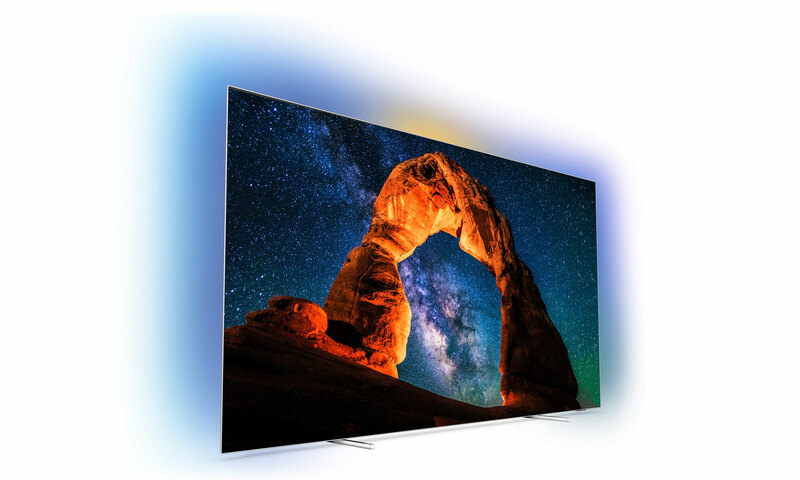 While some TVs exhibit different behavior based on the resolution of the input signal, Philips OLED803 exhibits similar behavior regardless of resolution. Game mode brings down input lag for 1080p as well as 4K (SDR) to approx.. 39 ms. However, input lag jumps to 56 ms for 4K HDR sources and higher for picture modes other than Game mode, which means that Philips is lagging behind some of its competitors and that OLED803 is now the optimal companion for console gaming. We observed similar performance in this area with POS9002 so the second-generation P5 video processor has not improved input lag. We must recommend that Philips makes it a priority to bring down input lag to make its TVs better gaming companion. The fastest TVs are now hitting numbers around 15 ms. Lately, there has been a debate about screen savers and dimming in TVs, motivating primarily by Sony’s decision to add a new screen saver function to the A1 model via a firmware update. 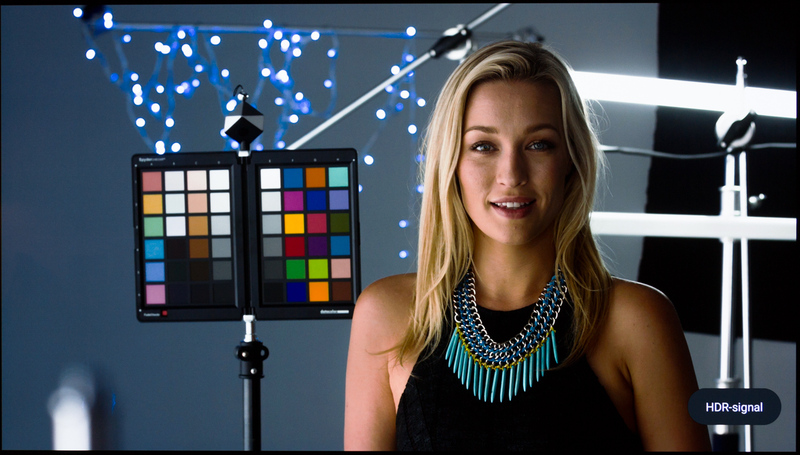 We have documented how it works on Sony AF8. We carried out the same tests on Philips OLED803 but it does not employ a dimming algorithm and we concluded our measurements after 10 minutes without any changes to brightness. The Philips TV switches to a full-screen saver after some time but does not dim the panel when the picture includes static elements such as a gameplay HUD or a scoreboard during a football game. 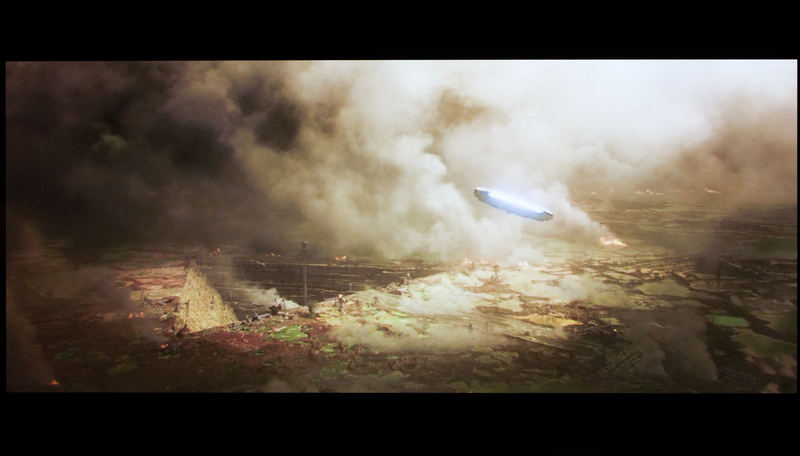 Of course, the various implementations of screen savers are meant to reduce the risk of burn-in. Philips OLED803 has the same pixel refresher function built-in as all other OLED TVs. It engages automatically when the TV is in standby so remember not to cut the power after use (don’t switch off at the power outlet). We saw no signs of retention or burn-in on our sample and we generally do not find issues even after intensive and prolonged use of OLED TVs. Circumstances that are cause for concern are things like teletext TV or if you watch the same channel with a bright logo day in and day out. 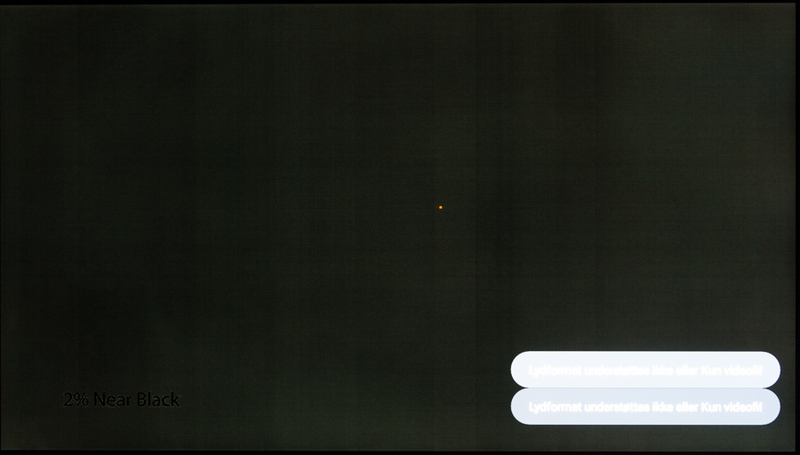 Philips also employs a pixel orbiter that moves the picture a single pixel line from time to time. The viewing angles are as expected for TVs based on LG.Display’s OLED panel. You can watch TV from almost any angle without issues. 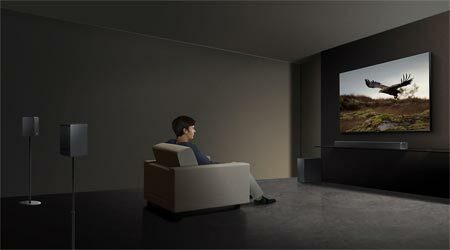 Philips’ current OLED TV line-up comprises three models, with the main difference being design and the speaker system. The 8-series OLED803 is nonetheless still packed with many of Philips’ most advanced features, including the second generation P5 processor, a 2018 OLED panel, 3-sided Ambilight, a built-in subwoofer, and a minimalistic new remote control. Philips has yet to migrate to Android Oreo so OLED803 is not markedly different from previous models. It is equipped with the same slow MediaTek SoC and the user interface often feels sluggish. 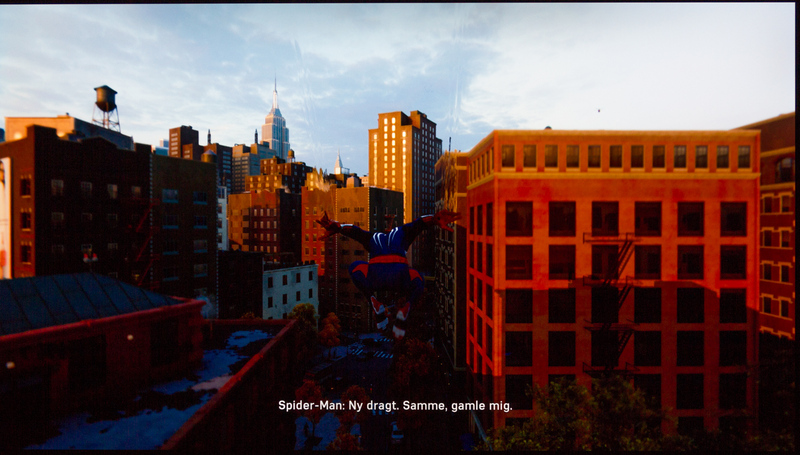 The P5 processor’s many picture enhancement features should be deactivated if you want accurate colors and picture in general. After calibration, OLED803 is capable of delivering a pleasant and balanced picture with good color accuracy and motion that matches both LG C8 and Sony AF8. The built-in speakers are better than average but not good enough to set OLED803 apart from typical TVs. If you want improved sound, you should consider stepping up to the company’s OLED903, which has a B&W-tuned soundbar. One area where Philips TVs need improvement is in input lag. Unfortunately, Philips OLED803 has one of the highest levels of input lag amongst high-end TVs that we have tested. We also encountered various bugs, including audio delay and noise as well as a color issues when booting up the TV set to ISF picture mode. 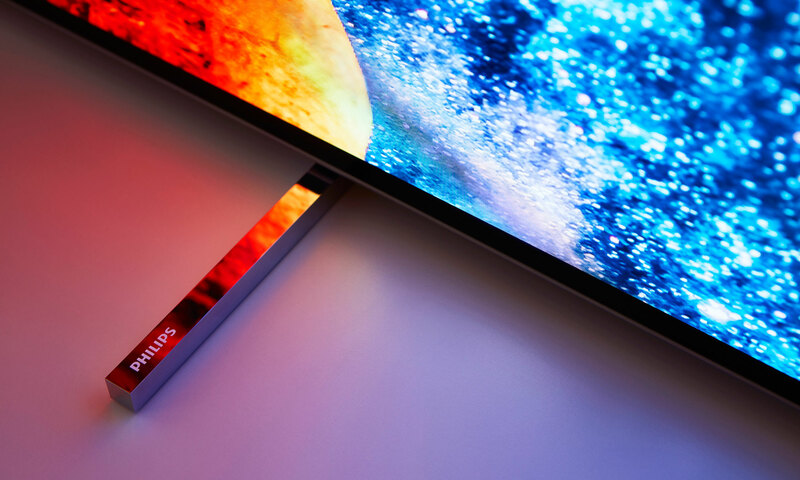 Philips OLED803 is in many ways a great TV but it is not much different from its predecessor and unfortunately we encountered various issues that were detrimental to the experience and hard to ignore.